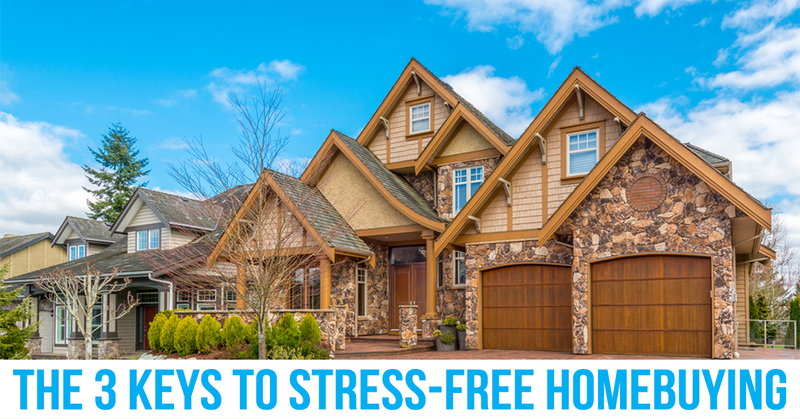 There is basically no such thing as a completely stress-free homebuying experience, but following these steps can significantly reduce your stress to some small doses of natural anxiety. You can easily reduce future stress by not spending more than you can truly afford. There are some standard rules of thumb concerning what you can afford, but talking to a professional in the finance industry may be the best way to get the most accurate price range that your income allows. Your future self will thank you endlessly for being fiscally responsible. With the variety of features in any given home, it’s easy to get swept off your feet by something like a built-in pool or a home theatre, but don’t forget about the features you absolutely need! If you’re starting a family you probably don’t want to consider a home with less than three bedrooms, no matter how cool the sauna in the master bath is. Here’s a real source of stress: You buy a home that’s too small today so in five years you have to choose between buying another new home or listening to your children fight because they’re in such tight quarters. Long story short, don’t pass up things you need for things you want! It’s no secret that a lot of work goes into the home search process as well as the home purchasing process, but not all of that work should fall on you. It may be difficult to let go to a certain extent, but allowing professionals to do what they do is a surefire way to reduce your stress. Trust that you’ve done your research and selected the right professionals to facilitate this process, and you’ll be happy you did.